Being a part of our Western Heritage is something everyone can do. However, being a part of the Calgary Stampede Royalty takes special skills that are found through the Stampede Queen and Princess Contest. Applications are due August 18, 2017 for the 2018 competition. In order to make it to through to the competition, you need pass the application process. You must be able to ride a horse and be able demonstrate your abilities by sending in a video or getting a riding instructor to sign and submit a letter with your application. For more questions visit their FAQ page here. The 2017 Stampede Royalty Trio, Stampede Queen Meagan Peters, Princess Brittany Lloyd and Princess Lizzie Ryman are ready to hand over their crowns. I spoke with Lizzie who recalls her year on duty. 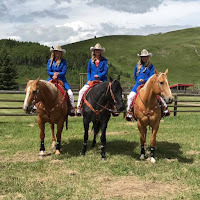 Besides highlighting the many trips the Trio get to take over the course of the year, Ryman shares her favourite moment as a Stampede Princess - which includes a visit to the seniors home where she met a gentleman who was a past member of the Calgary Police service for 45 years. Ryman has aspirations to become a member of the Calgary Police force and explained that this senior was giving her tips on what to expect when she enters that field. When I spoke with Ryman she tells me more about her visit with this wonderful man, "He asked me to dance and after we sat down he told me about his wife who passed away five years ago and how they used to go out dancing all the time. He was thankful and grateful that he got to go for another dance [with me]. I was just teary eyed and I didn't want to leave because he was one of the most special people I met throughout my entire year. It's those little moments that really stick with you." What a wonderful memory to share and cherish for the rest of her life. You just never know what the journey could look like if you have the opportunity to become Stampede Royalty. Ryman shares with me her tip and advice she has for anyone who's looking to enter the competition, "Be genuine and be you! There is nothing else you can be and nothing else you can be better at. 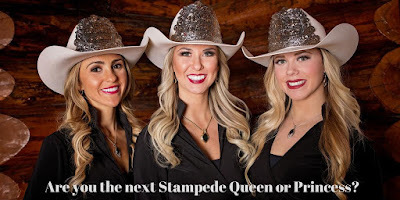 They're [Stampede Royalty Committee] not looking for a specific type of person. They're not looking for blond hair, brunette hair...none of that matters. Be you and let that personality shine through." If you know someone who wants to experience the Calgary Stampede Royalty life, have them apply today! For more information you can visit their website at http://www.csroyalty.com/ and follow them on Facebook, Twitter and Instagram. 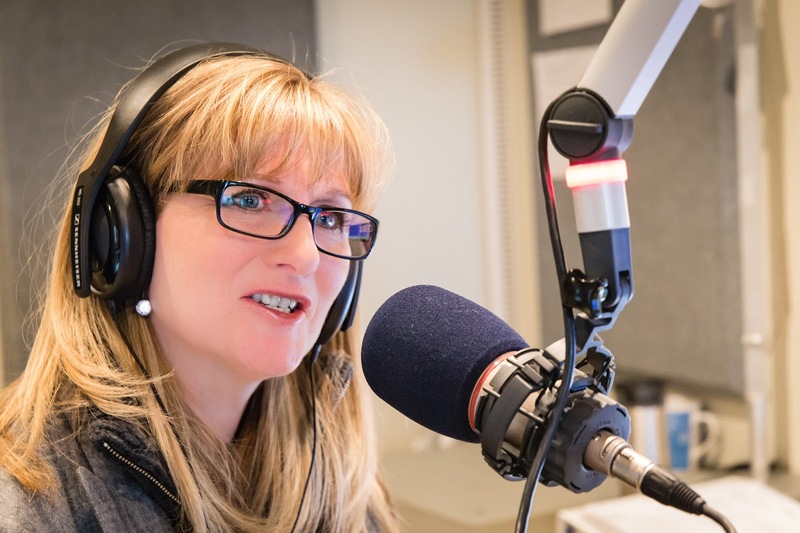 Listen to the full interview with Lizzie Ryman, Calgary Stampede Princess HERE. Application deadline @calgarystampede @StampedeQandP is Aug.18. Princess Lizzie Ryman tells me about her reign at http://ow.ly/EUtY30eql2F.